"The study looked at inoculated swatches of cotton sheets with C. difficile that were then laundered with sterile uncontaminated pieces of fabric to measure the levels of contamination before and after washing. Researchers washed naturally contaminated bed linens in a commercial washer with industrial detergent at 167 degrees Fahrenheit for eight minutes. The study found the laundering process reduced C. difficile spore counts by only 40%, failing to meet microbiological standards for containing no disease-causing bacteria." According to Modern Healthcare, C. difficile is a common infection acquired in healthcare settings that costs hospitals nearly $5 billion a year in excess healthcare costs. Experts warned that hospitals using commercial washers to decontaminate sheets with C. difficile could also be spreading the bacteria when sheets are washed, reused and mixed in with uncontaminated sheets. A similar study in 2016 that investigated soiled linens in Seattle found that linens that tested positive for C. difficile had even contaminated areas within the facility where the linens were stored. 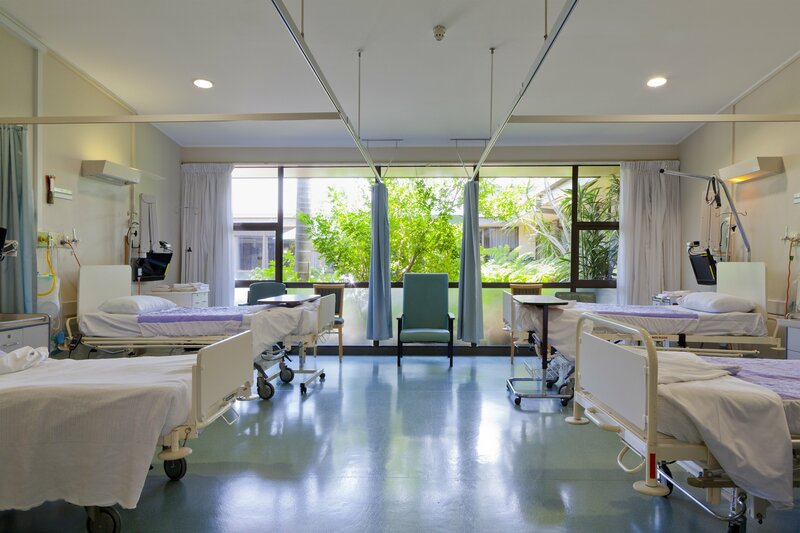 While some experts caution that the risk remains small, the ability of certain bacteria to survive on hospital bed linens even after being washed increases the possibility of acquiring infection through bed linens.